With practical business knowledge as well as legal experience, Jana aims to serve as a trusted adviser for businesses and individuals, focusing on handling their legal concerns in a consistent and comprehensive manner to help them eliminate obstacles, reduce risk, and seize opportunity. Jana is a skilled litigator with significant experience in commercial litigation and white-collar criminal defense and compliance. Jana’s commercial litigation experience gives her a window into the types of issues which businesses commonly face. Her experience includes serving as lead counsel in a jury trial, securing a victory in that case, which involved allegations of breach of contract. She also served as lead counsel in a mandatory arbitration in state court and secured a favorable result for her client. She has experience in alternative dispute resolution proceedings, including mediations and arbitrations, as well as in all aspects of motion practice and discovery, assisting a wide variety of clients. She also has both state and federal appellate experience. As part of her white-collar criminal defense and compliance practice, Jana has been involved in the representation of corporations, their officers and executives, and other professionals in investigations conducted by both state and federal prosecutors. She also has experience representing witnesses testifying before grand juries and responding to grand jury subpoenas. Additionally, she has experience conducting internal investigations, making voluntary disclosures to the government, and helping clients implement corporate compliance programs. Jana also has experience representing corporations in environmental litigation, including a federal criminal investigation involving the Clean Air Act and federal civil litigation involving the Clean Water Act. Jana grew up in a family that owns funeral homes and a wholesale produce business. She worked at her family’s wholesale produce business throughout high school and college, learning firsthand what it takes to operate such a business on a daily basis and giving her unique insight into the challenges facing businesses, in particular small and family-owned businesses, and a better understanding of how to overcome those challenges. Additionally, Jana is a former intern for the U.S. Attorney’s Office for the District of Massachusetts, where she served on the Drug Task Force. She also served as an intern for the Honorable Terrence McVerry of the U.S. District Court for the Western District of Pennsylvania. At Harvard Law School, Jana was a teaching assistant to Professor Bruce Hay, worked on the Journal on Legislation, and volunteered with the Harvard Defenders. Jana is actively engaged in the community. She currently serves as the Vice Chair of Junior Achievement of Western Pennsylvania’s Young Professionals Board, which focuses on teaching students work-readiness, entrepreneurship and financial literacy skills. Effective July 1, 2017, Jana will serve as vice president of the Grove City Alumni Council for a two-year term. She previously served as the Chair of the Nominating Committee for the Alumni Council. She is also a Member of the Women’s Leadership Council of the United Way of Southwestern Pennsylvania and is a member of the Board of Directors of Goodwill of Southwestern Pennsylvania. She also volunteers as a pro bono attorney with the Allegheny County Bar Foundation’s Small Business Legal Assistance Program. Jana is a graduate of Leadership Pittsburgh, Inc.'s Leadership Development Initiative, Class XXI. She is also a former member of the Pittsburgh Regional Board of Strong Women, Strong Girls. Additionally, Jana speaks and writes on a variety of legal topics. Past topics include eyewitness testimony, restitution, and internal investigations. Jana has an upcoming speaking engagement regarding the particular legal challenges that face funeral homes. Eyewitness identification is oftentimes the most influential evidence during a criminal trial. In this podcast, Jana Walshak, litigator and defense attorney, shares her strategies for effectively handling such testimony. 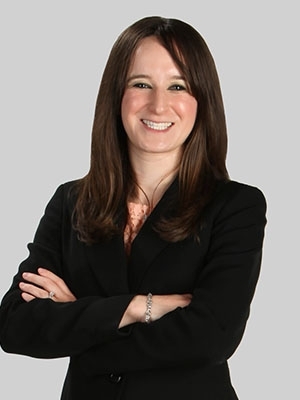 Pulling points from her recently published article in Bloomberg BNA's Criminal Law Reporter, Jana explains the effects of recent court opinions and discusses the range of remedies available to defense counsel when faced with what could be incriminating testimony.